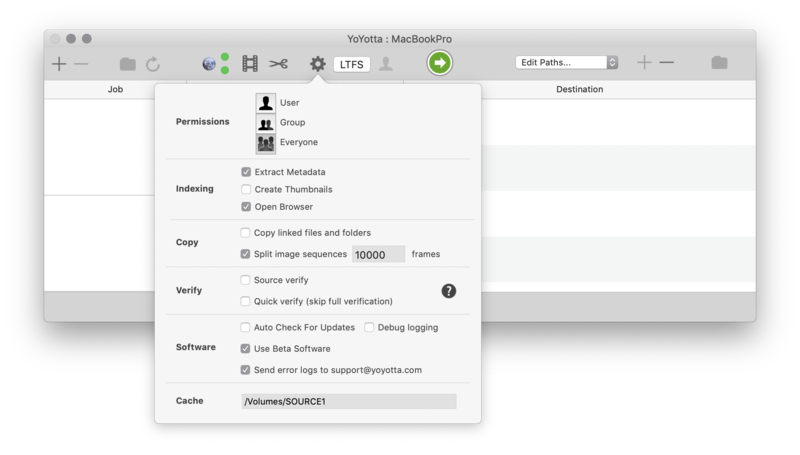 In Preferences turn on Use Beta Software. 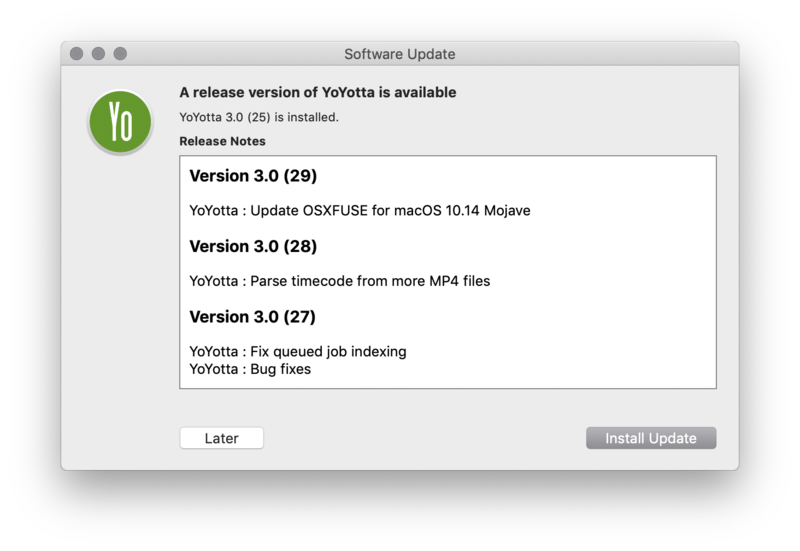 Then in the YoYotta menu Check for Updates... and download the latest build. Please keep Send error logs to support@yoyotta.com turned on, then if there is an error a log will be sent to YoYotta support. While running a beta build it's easy to revert to the release build. You can also download earlier releases, but please tell us if you are having problems with any version.